I am still a redneck-looking, pickup truck-driving, typical American. Only now I am a Muslim American. My life was that of a typical American, with my main concerns being the little details of everyday life that everyone worries about. Little did I know that my religious beliefs would take me out of my “typical” and that they would provide me with a sense of peace and completion that I had been lacking. My journey to Islam began with my friendship with Nasir. I met Nasir through work in the late 1980s, and was impressed with his manners and the way that he treated me. I had met very few Muslims, and I was always a little uneasy around them as I was not sure how they would perceive me. Besides having the appearance of a pickup-driving-shotgun-toting-redneck, I was also a Jew, and the combination often seemed to unsettle people. Nasir, however, took everything in stride, and as a result, a friendship slowly bloomed. 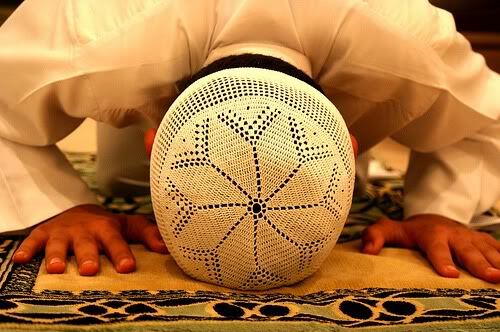 Through Nasir, I formed my first impressions of Islam and its adherents. Over the years I watched how Nasir dealt with different situations, and was constantly impressed with the wisdom and patience that he displayed when dealing with difficult people or situations. If I asked him why he did certain things, he would tell me bits of wisdom that guided his actions. His words, I realized later, were direct or indirect quotes from the Holy Qur’an. I often marveled at how one person could be so wise and knowledgeable! Little did I know that those guiding principles were written down in the Holy Book that I or anyone else could read. Around the winter of 2000, I began to have a serious interest in Islam. I read the Qur’an, but could not seem to fully understand it. Despite this difficulty, I continued to have a nagging feeling that I should continue, and so I studied other books about Islam. I learned a great deal, but in an academic and not a spiritual way. I finally resolved to ask Nasir for help, and then the Sept. 11 incident happened. Suddenly, I had a host of new worries, and I put my questions about Islam on hold. During this time period, I had a great deal of exposure to Islam, however, very little of it was put to me in a positive manner. As a police supervisor, I was constantly receiving warnings about perceived Islamic threats, and as an officer in the reserves I was around people who perceived Islam as a threat and Muslims as possible enemies. So, I continued to wait and kept my studies about Islam to myself. Then, in the late summer of 2004, that nagging feeling that had persisted suddenly intensified, and I finally asked Nasir for guidance. He told me about the tenets of his faith, and about the nature of the Qur’an. More importantly, he told me how strongly he believed in it, not only as the word of God, but as the way in which man was meant to live. He and his brother, Riyadh, provided me with booklets about Islam that had answers to many of my questions. With this knowledge in hand, I again approached the Qur’an, and suddenly found that it was not only readable, but that it made sense! I read and re-read everything that I had been provided, and then double checked the facts that had been presented to me. The more I read, the more amazed I was. I found that the information that was in the Qur’an would have been impossible for Muhammad to have known had he not been a Prophet. Not only would it have been impossible for a man of his background and geographic location to have known many of these things, it would have been impossible for anyone of his time-period to have known them. I double-checked the dates of many of the modern “discoveries” that had been addressed in the Qur’an, and was astounded at what I found. Not only did the Qur’an contain information that was centuries ahead of its time, but it did so with details, many of which could not have been known until this century. I became convinced that Muhammad was indeed a Prophet. Despite this, I still faced a dilemma. Although I now believed that Muhammad was a Prophet, I still was confused about what to do. Everything that I had ever believed was suddenly turned upside down, and I was at a loss for an explanation. That night I prayed for guidance and understanding; I went to sleep full of hope that I would receive an understanding of the situation. When I awoke, I did so with the feeling that I had experienced an epiphany. Everything was suddenly clear. 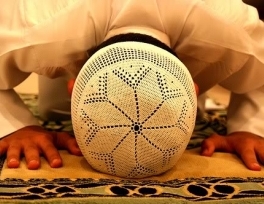 Learning about Islam, belief in one God, worshiping one God alone, was not new information but it was a new understanding of what I had already believed in before. I felt exhilarated, happy and at peace, and that morning I said the shahadah. I told Nasir, and he took me to a nearby mosque for the Friday prayers. At the mosque I was led to the front and then Nasir and the Imam helped me repeat the profession of faith in Arabic. Although I was a little nervous, the joy I felt far outweighed any other feelings that I had. I was welcomed by the members at the mosque in a manner that was so welcoming that I can hardly describe it. Most of the congregation shook my hand and welcomed me to Islam, and many of them offered to help or to answer any questions that I might have. It was a wonderful experience which I will never forget. In closing, let me say that the feeling of peace that came over me is still with me, and although I am still very early in the learning stages, I am happy and confident that I made the right decision. With the continued guidance and assistance of people like Nasir and Riyadh, I hope to one day set as good an example for others as they have been for me.